Lytham & St.Annes on the Sea Lancashire - Local History - On A Broad Reach - The History of the St.Annes-on-the-Sea Lifeboat Station 1881-1925. 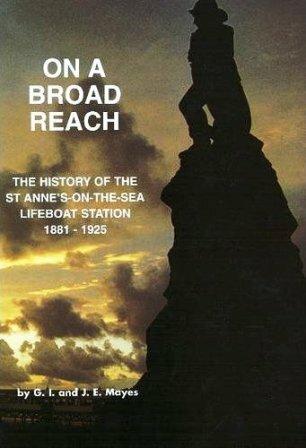 On A Broad Reach - The History of the St.Annes-on-the-Sea Lifeboat Station 1881-1925. The ISBN on the cover is 1902953010 which appears to be wrong as this is the ISBN of another book.